By integrating with OpenEdge’s X-Charge software, no portion of the credit card data is ever handled by or exposed on your systems. 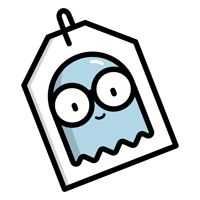 In addition, Peeps are the only provider who personally manage, maintain, and guarantee your computers are PCI Compliant and configured as per the PCI DSS. Peeps is the only consignment and resale software that provides deep controls and options over your credit card processing experience. Utilize signature capture not only for credit card processing, but for your consignor/customer agreements, as well as payout pickups. Push your logo, PIN Pad message, and more, all within Peeps! With other consignment and resale software companies, if you call them due to an issue, they’ll tell you to call the credit card processor — not with Peeps though. Peeps handles every portion of your credit card system support, from setup, to troubleshooting, to training, to managing the replacement of equipment, should it fail. By utilizing OpenEdge’s X-Charge software to handle every aspect of the payment transaction, credit card data is securely processed from end to end — from the moment it hits the PIN Pad, through the payment processing at OpenEdge. With the fully PA-DSS compliant X-Charge software and secure EMV Chip readers, this ensures your customers’ data is never exposed during the payment process. At no point is Peeps’ Software ever handling or storing any form of credit card data — that’s all handled by X-Charge, up to OpenEdge, and back again. Peeps is the only consignment and resale software system that didn’t simply stop at ‘being able to process a credit card payment’. Where other vendors have done the bare minimum, Peeps went above and beyond and saw the additional benefits we could give to stores. 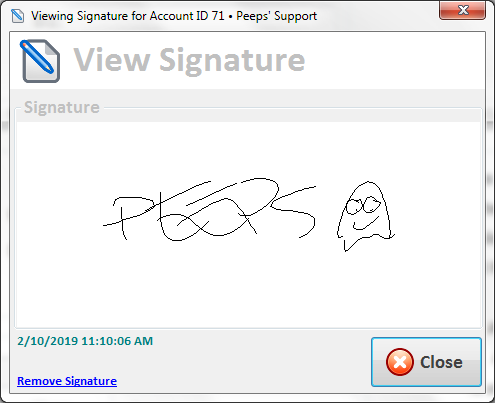 Where some programs don’t even support or handle signature capture, Peeps provides a smooth and seamless signature capture process. We’ve refined and enhanced the signature capture experience and workflow over the last 2+ years, based on our customers’ feedback and truly do have the most-reliable signature capture system on the market. Furthermore, Peeps is the only software that lets you use signature capture for your consignor contracts, as well as for payout pickups. Reduce those piles of paper and filing cabinets, to a much more mature system — your consignors’ signatures automatically print on the contract, as well as in their email copy. Peeps is also the only consignment and resale software that provides as many features as possible, from being able to control what the customer sees on the PIN Pad, to adding your logo. Peeps provides deep integration with the credit card processing system, so you can process payments, as well as refunds & voids. We’ve found stores are constantly calling us, after they’ve called their consignment software vendor, then their credit card processor, only to be bounced back and forth. The buck stops with Peeps — we’re the only ones willing to take ownership of issues, get down to the true cause of problems, and get our customers back up and running. So we never tell our customers to call anyone else — Peeps are the ones who do everything. Never fear you’ll be bounced back and forth, waiting on hold hour after hour — Peeps take care of every portion of your credit card processing infrastructure. And you know those boring, 200+ question questionnaires you have to fill out every year? Peeps do this for you. More-importantly, we’re not just randomly answering yes or no — we understand the gravity behind this questionnaire and what it means. It is an oath and chain of custody, stating that the person signing it, guarantees the store’s systems have been properly hardened and adhere to the PCI DSS. We also handle your quarterly/monthly PCI Compliance scans. Why Did Peeps Integrate with X-Charge? Like we said with BluePay, a store has to be able to process credit cards, it’s just a given. 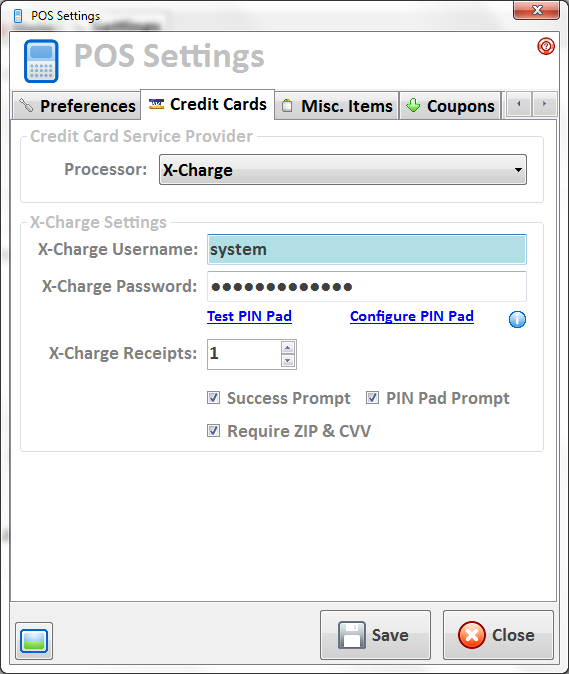 X-Charge was actually the first credit card processing system Peeps integrated with. X-Charge has been around the longest and for stores switching to Peeps from other consignment & resale software systems, this meant one-less thing stores had to worry about when converting. OpenEdge has a low monthly fee, no contracts, and their per-swipe rates are also fairly competitive. We like that the X-Charge software platform is well-developed and does all of the ‘heavy lifting’ from a programmer’s perspective. This allows Peeps to focus on development and building-out even more features and benefits for our customers.